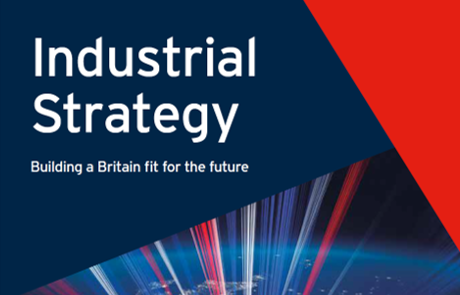 In November the Government published its Industrial Strategy white paper setting out an ambitious plan for jobs and industry. At its heart lies the need for better routes into work and training, boosting the economy with British skills fit for the future. The Institute has an important role to play in helping delivering on some major elements of the Strategy. The introduction of T levels will streamline what is currently a very complicated technical qualifications system. T levels will offer greater consistency and quality to college based technical study programmes, giving learners not only the confidence that their course will be backed by rigorous teaching and a respected qualification, but also an extended work placement to gain valuable industry skills. They will be available alongside apprenticeships as one half of a high-quality, employer-led technical and professional education offer. The current consultation on the implementation of T level programmes, puts forward that the Institute will play a key role in the delivery of the T level reforms. We know that addressing the skills shortage in science, technology, engineering and maths (STEM) is imperative if we are to build an economy fit for the future. The government is addressing this with an added £400 million going towards maths, digital and technical education. The Institute will play its part by ensuring that new STEM apprenticeships are of the highest possible quality. The Institute recently published its 200th apprenticeship standard approved for delivery, and we havearound 300 more in development – a significant number of them in STEM subjects. Each of these high quality apprenticeship standards will help create new opportunities for learners and businesses to flourish, reducing the under-representation of women in STEM, boosting social mobility, and the national economy in the process. New people will be constantly entering industry with a high level of technical competence and industry skills through either the new T levels or apprenticeships. It is important to keep skills current in fast moving sectors, refreshing skills after a period out of the labour market or training in order to transition skills as sector changes in response to technology shifts. Apprenticeships are a vital UK-wide vehicle for employer investment in their workforce, enabling employers to develop the knowledge, skills and behaviours they need for future success for those already in work. Closing the productivity gap means recognising the pivotal role of management and leadership skills in improving productivity and there is need for a national focus on replacing ‘accidental managers’ with confident, competent, qualified managers. High quality apprenticeships are one solution to these challenges with team leadership, operational management and degree level management apprenticeships available across sectors. All of our apprenticeship standards approved and in development are available on our website. If you are an employer and are interested in developing a new apprenticeship standard you can find out more with our employer guide.